Discussion in 'Transformers News and Rumors' started by Nevermore, Oct 10, 2018. Is this a character we know? I don't recognize the design at all. I think that looks like a Micromaster/Battlemaster? Might be that Hammer Battlemaster Hasbro teased. Kinda got Magnus Esq colors. It looks like Huffer with Alpha Trions colors. Can't be Siege. The art style doesn't match the character art we've seen so far. Maybe it's Transformers Legends artwork. Maybe they’re introducing Micromasters to Transformers Legends or that online game they do? 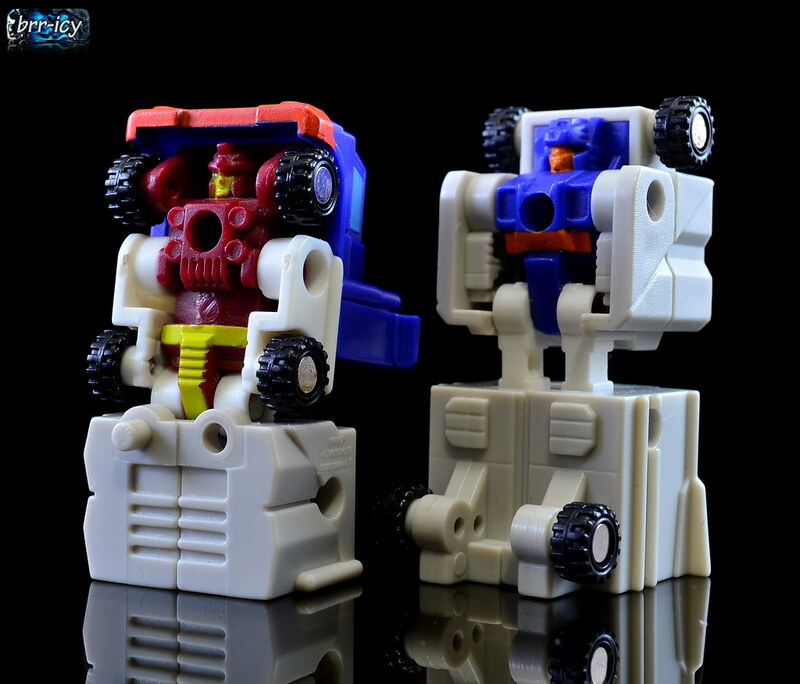 Like has been mentioned above, he does look like a stylised repaint of Overflow, he was my first thought too. They could possibly be getting ready to introduce Micromaster combiners later in WFC, that’d be a logical follow-up to the two packs they’re doing now. Other than that, on the ‘blueprint’ background there’s a lot of pictures of Cybertron & Bumblebee, maybe some more ‘Generations’ style figures released for the Bumblebee movie would be my only other guess. There was no card like that in Legends. For some reason, this reminds me of Dion. that's my original character, "guffer." makes a ton of mistakes but unlike his brother, a more famous character, he never complains. At 1st glance I thought it was Huffer. But the colors are a bit off. I mean, Hasbro has a track record of weird Huffers. Maybe this is the next step in getting it wrong? All jokes aside, the art is really nice! looking at the shapes it's all very Micro Master looking. The robot mode has elements of both of their robot modes, and the big grey block on the back I am pretty sure is the truck trailer. I\'m gonna say he looks like tailspin.